Tim Brennan was talking about the specific skills one must possess to be a successful planner, especially a long-range planner, which is his unofficial job title. And he focused on two traits — patience and tenacity — noting that one must have them in abundance in this arena, because some — actually, it’s more like most — initiatives don’t take a few months or years to become reality; they take a few decades, at least. As an example of patience and tenacity, he cited work to create bike paths in the region, an initiative that dates back to when he started working for what was then known as the Lower Pioneer Valley Regional Planning Commission (LPVRPC), as the transportation planner, in 1973. “There were none at that time, but the temperature started to change and the federal government became interested in things other than autos and transit,” he explained. “We started working on what was then the Five College Bikeway, which was a conceptual idea. Once the media-release value was gone, everyone abandoned it; but we stayed with it, and 20-something years later, I’m at the ribbon-cutting for the trail. I’m not the planner in the Transportation Department, I’m the director, and I’ve got two young daughters who are going to be able to use the Norwottuck trail. There are several other examples from Brennan’s tenure with what is now simply the Pioneer Valley Planning Commission. They include everything from Connecticut River clean-up efforts to initiatives to bring more and better rail service to the area; from work to maximize the CSX complex in West Springfield as a regional economic-development asset to efforts to promote greater regionalization in this region and also neighboring Northern Conn.
For achieving progress in these areas and, overall, for giving that grit he described earlier, Brennan has been named one of BusinessWest’s Difference Makers for 2011. Some of the work he’s led is easy to see, such as those bike trails, a cleaner Connecticut River, and a reconstructed Coolidge Bridge. But some of it is outwardly less visible, yet equally important, such as the creation in 1994 of the Plan for Progress — a blueprint for helping the Valley remain competitive in an increasingly global economy — and its many updates since. Brennan has seemingly always been a little ahead of his time, dating to when he did his thesis at UMass Amherst on issues concerning the collection and management of solid waste, and, specifically, the need for greater recycling. “That was kind of a radical idea at the time,” he said. While at UMass, he took part in an internship with the city of Northampton, “which at that time was as downtrodden as any city you could imagine,” and worked on solid waste and, eventually, planning issues for then-Mayor Sean Dunphey. He was part of efforts to create a new master plan and revamped zoning laws, and was there to see the very beginnings of that city’s renaissance. After graduating from UMass, Brennan commenced a search for employment in the region and found an opportunity at the LPVRPC as transportation planner. While in that position, he led the formation of the Pioneer Valley Transit Authority (PVTA), one of many regional transit systems created by the state Legislature. In 1980, when the directorship of the LPVRPC came open, Brennan applied, but did not get the nod. But when the individual who was chosen ultimately decided not to relocate from Illinois, another search was commenced, and this time Brennan triumphed. 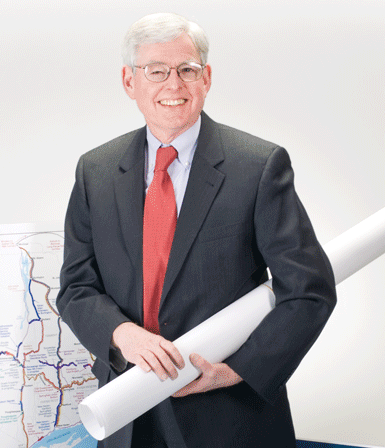 When asked what’s kept him in this job for more than 30 years, working for and alongside countless mayors, selectmen, and planning and development leaders, Brennan said it’s the diversity of the work and the satisfaction that comes with overcoming the many challenges it takes to bring projects that are decades in the making to fruition. He also likes the balance between working in both the present and future tenses. So when asked what the Greater Springfield area might look like in 30 years, the man who always has one eye focused at least that far down the road said there will be some recognizable changes. “What’s going to shape the region is energy and climate change,” Brennan said. “Suddenly, it’s politically unpopular to talk about climate change, but the scientists are screaming that it’s real and we have to do something about it. A few weeks ago, the state set greenhouse-gas emission-reduction goals for 2020 and 2050. I don’t think I’ll be around in 2050, but it’s my job to start, with my colleagues, to take this seriously and try to get us ready. Meanwhile, the Valley will have to focus its energies on successfully existing in one of what are projected to be a dozen or so ‘super regions,’ the one in question stretching from Philadelphia to Boston. “We have to be connected to the Northeast mega-region, or we’re toast,” Brennan told BusinessWest. “There was a guy here 10 years ago who has a national reputation, who said that if we didn’t have firm plans and follow through on them, much of New England, including this region, could end up as a cul-de-sac, and that really stuck in my mind. Getting to that place won’t be easy, but Brennan has the requisite personality traits — patience, tenacity, and that all-important grit — to get the job done. She found them in a bargain bin at T.J. Maxx in the summer of 2009, and knew at first sight that she had something special. “I think I paid $2 for them; they’re pink, they’re sparkly, they’re different,” said Carvalho, who gave them their name because she thought that, by wearing them, she could help will the fund-raising walk known as Rays of Hope — which she founded after becoming a breast-cancer survivor in 1994 — over the $1 million mark for that year’s walk. Thus far, the shades haven’t lived up to their name — the tallies for the past few walks have come tantalizing close to what is, for now, anyway, the magic number, but haven’t crossed that threshold. But Carvalho isn’t ready to give up on her latest good-luck charm. There are far more scientific ways of measuring just how far Rays of Hope has come in 17 years than Carvalho’s inventory of options when it comes to accessorizing for the annual walk — such as the total raised to date, more than $8 million. But there are perhaps none that are more poignant. They show how the event has evolved into more than a fund-raiser — although it is that, first and foremost. It has become, said Carvalho, a very powerful show of strength, and unity, in a fight that’s far from over — a sobering fact that draws more individuals and teams to the starting line every year. For creating and nurturing this show of unity, Carvalho, a former oncology nurse and currently director of case management for Jewish Geriatric Services, has been named one of BusinessWest’s Difference Makers for 2011. She said that, if she had her way, she would bring the tens of thousands of walkers and event organizers to the podium with her, because it is their collective efforts that have made the event, through the dollars it raises, a difference maker in the lives of breast-cancer victims, and a role player in the ongoing efforts to find a cure. 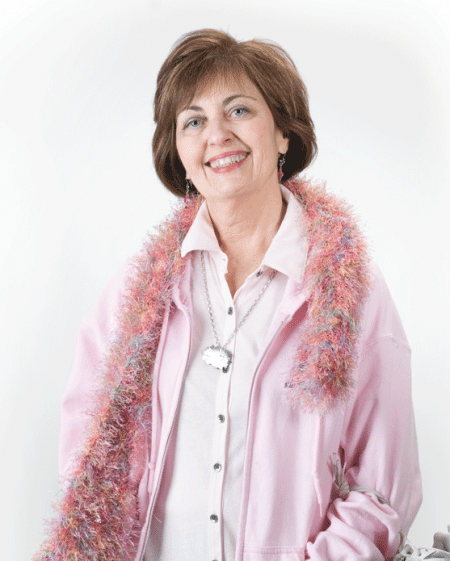 When asked how Rays of Hope came to be, Carvalho didn’t start with her own well-documented battle with breast cancer, which began when she discovered a lump during a self-exam. Instead, she focused on her nephew’s involvement, and also her own, in an AIDS walk in Boston several years earlier, and the very important lessons she took from it. “I come from a family that gets involved,” she said while explaining how and why she became a participant. “And it’s from that walk that I gained a lot of the vision that I wanted to see happen here. That’s where I learned so much about how important it is, and how much you can do, if you can get a group of people who are dedicated to a cause and try to make a difference. To make a long and inspiring story short, Calvalho and other Rays of Hope organizers have managed to do the same with their event. Indeed, with memories of that AIDS walk still fresh in her mind and an American Cancer Society breast-cancer walk that netted $400,000 in the pouring rain further inspiring her, Carvalho, while still recovering from her own lengthy battle with the disease, set out to create her own event. She recruited organizers, secured a media sponsor (Channel 40), and gained commitments for startup funds. Still, many people involved with her wanted her to wait a year to get on even more solid ground. She listened to that advice, but pressed ahead with her plans for that year, and is glad she did. Today, funds from Rays of Hope go in several directions. Some are put toward ongoing research, including work at the Pioneer Valley Life Sciences Institute in Springfield. Funds also go toward a wide range of services, including what are known as ‘complementary services’ for those battling the disease. These include yoga, Reiki, and something known as Art from the Heart. Carvalho is traditionally assigned the task of reviewing requests in this complementary-services category, which she says has perhaps the most compelling direct impact on breast-cancer patients. Over the years, Carvalho has turned over most all of the operational aspects of the walk to partner Baystate Health, employees there, and a massive team of volunteers. She describes the broad planning and execution process as a “well-oiled machine” with which she is still quite active. As for walk day itself, she said she has a badge (somewhat lost amid everything else she wears) that identifies her as the founder. “It gets me a parking space close to the start line,” she joked, adding that she is largely anonymous for the event itself, walking with a team from JGS and family members, and getting to meet as many new people as time and circumstances allow. The one constant, she said, is change — in everything from the size and composition of the crowd of participants, to new wrinkles (a run and a walk in Greenfield were added for 2010), to the programs funded by the proceeds. One thing that won’t change for 2011 is that pair of million-dollar sunglasses. Carvalho isn’t sure what else she’ll be wearing — again, there are a lot of decisions to make — but weather permitting (and perhaps even if it doesn’t), the shades will return. And Carvalho believes this year they will live up to their name. Don Kozera says he applies a number of lessons from his time in teaching to his day-to-day work as president of Human Resources Unlimited (HRU). And one of the most important dates back to his first full day at Green Mountain Union High School in Chester, Vt., and what happened after. “The administration thought it would be an excellent idea to have the students choose their homeroom teacher,” he recalled for BusinessWest in a voice conveying no small dose of cynicism, “because if they choose their homeroom teacher they’ll be more bonded to that individual, and the teacher will become their advisor … that was the theory, anyway. The moral to this story? “The concept was a great one, but the execution of it just created all kinds of problems,” he explained. “That woman … she hated me for the rest of my time there, and she made my life a living hell. “Often in management, there is great intent on the part of people like those administrators at Green Mountain Union,” he went on. “But when you put it into action, the unintended consequences of that decision were worse than having left things the way they were. By choosing their homeroom teacher, the students did bond better with the teacher — that part was true, but what they failed to realize was that they destroyed the collaboration between teachers, the sharing of information; everybody then became an island. Kozera has let that experience and many others help guide him as he’s steered HRU to continued growth and success as an organization devoted to helping mentally and physically disabled individuals find work — and, in the process, gain confidence, self-esteem, and all the other rewards that come with meaningful employment, and become productive members of society. • Four clubhouses — Lighthouse, Star Light, Forum House, and Trade Winds — that help transition members, who join on a volunteer basis, to meaningful employment. 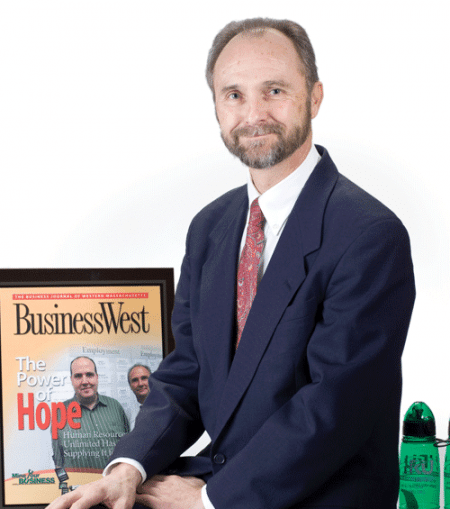 For these efforts, as well as his recent and ongoing efforts to successfully combat what he called “mission drift,” Kozera has been named one of BusinessWest’s Difference Makers for 2011. More specifically, Kozera is being recognized for his work in leading the organization through times of change and extreme challenge. When asked for his job description and the approach that he takes to everything on that list, Kozera thought for a minute and said that, at the end of the day, it is essentially to set goals for the agency and give his staff the tools and the direction to meet them. And these goals must be realistic, he continued. “That’s because, when people are constantly working on unrealistic goals, they become deflated, and then it becomes OK never to achieve — they just work hard, but they don’t achieve,” he explained. “You must have action phases that are really defined, timelines that are really defined, and goals that are aggressive but ultimately achievable. Kozera said that, whenever he’s looking or acting like the bureaucracy or regulatory aspects of his work are dragging him down, they’ll find some way to get him out to one of HRU’s various programs. Which brings him back to that mission drift he mentioned and the need to be vigilant about allowing it to happen. “Especially in bad times, it’s easy to get mission drift and essentially chase money, and we have not done that,” he explained. “Sometimes you’ll see agencies like ours, specializing in employment services, see a residential contract come out and say, ‘let’s do some residential work.’ Is that really their expertise? And is there a need for that? Often, they’re just trying to make their organization survive. As he goes about meeting that overriding goal, Kozera will keep in mind the lessons he’s learned over the past 30 years, and some that go back further, to those lists of names on the teachers’ doors at Green Mountain Union High School. In short, he won’t just think he knows the answer, and won’t do anything in isolation. 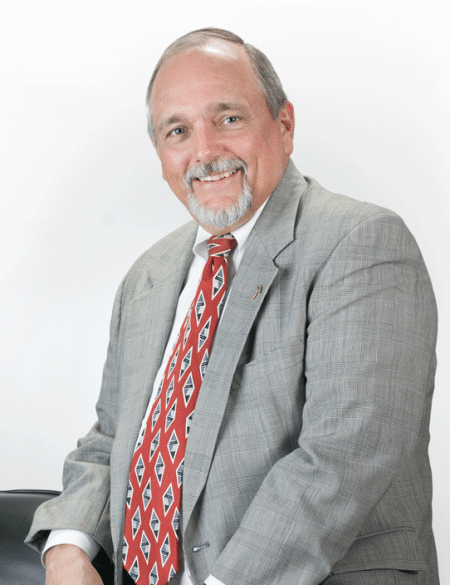 Retired Partner/Consultant, Meyers Brothers Kalicka, P.C. Robert Perry admits that he’s not much of a handyman. So he makes no apologies for the fact that, over the course of more than a decade’s work with Greater Springfield Habitat for Humanity, he’s probably spent three or four days “working,” at least by his estimation. And while others would disagree with that math — they say Perry enjoys getting his hands dirty and is always ready, willing, and able to pitch in — they usually don’t quibble with his numbers, or his leadership, for that matter. That’s because Perry’s contributions usually haven’t been with a hammer, shovel, or level, but rather with a telephone, gavel, and calculator. 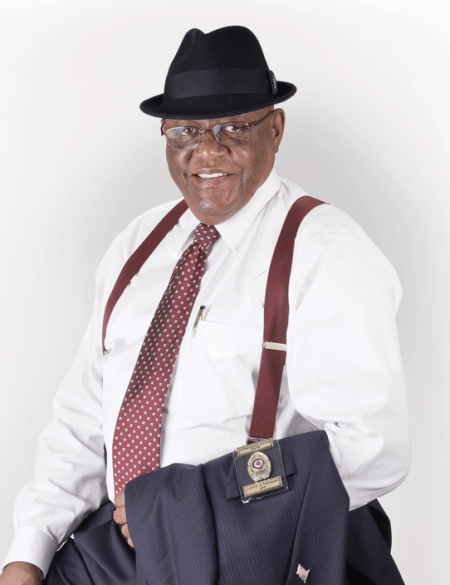 A quasi-retired CPA — ‘retired partner/consultant’ with Meyers Brothers Kalicka, P.C. in Holyoke, to be more exact — Perry spent an unheard-of seven years as president of the organization’s board (“I wasn’t smart enough to find a replacement”) while also serving as treasurer. He said that, instead of framing, tiling, or putting up sheetrock, his main contributions to Habitat’s mission have come in the form of leadership, organization, fund-raising, finding and cultivating sponsors, and keeping track of the financial details. Those who have worked with him over the years would say that he and his wife (Bob and Bobbi to those who know them) have provided something else — hefty amounts of inspiration. A large dose of it came in late 2008 when, in conjunction with their 35th wedding anniversary, they donated and raised $35,000 each toward the construction of a Habitat home in Monson. Meanwhile, the overall experience with Habitat has been perhaps the best example of how, through more than 30 years of work within the community — here and elsewhere — he’s sought out opportunities where the results are visible and significant. It was this way with his work at Big Brothers Big Sisters in Framingham much earlier in his professional career, and also with his recent efforts mentoring students at Putnam Vocational-Technical High School in Springfield. “The connection I made between being a big brother and being in Habitat is being able to see the results of your efforts every day,” he explained. “When I was working as a big brother with a kid, you could see his progress — you could see his self-esteem growing, you could see him learning things that you were imparting. In Habitat, when we raised some money or when we found a family, you could see the change immediately — you could see the cause and effect of your relationship. Recapping his professional career and work in the community, Perry said they’ve dovetailed nicely. He told BusinessWest that he was always drawn to accounting work, and, after graduating from Northeastern, he went to work for Alexander Grant in Boston. After a stint as a CFO for a textile manufacturer in the late ’70s, he went to Greenberg Rosenblatt in Worcester, and later, when that firm bought an accounting practice in Springfield, he was transferred here to run that operation. After a few years as a self-employed consultant, he went to work for Meyers Brothers, which merged with the Kalicka firm in 2003. Today, Perry is what one colleague, also semi-retired, calls a “partner emeritus.” He says he spends about 500 hours a year as a consultant — 250 during the three crunch months of tax season, and the balance spread out over the remainder of the year. The rest of his time is devoted to a few passions, but especially golf and community service. He and Bobbi are members at Wilbraham Country Club (he’s a 16 handicapper and she’s a 20), and they play together frequently. As for the community-service piece, it’s been a career-long constant, inspired in part by Bobbi’s work with deaf children and their families. Perry spent several years as a member of the Exchange Club that serves Longmeadow, East Longmeadow, and Wilbraham, but found he wanted to be more on what he called the “front lines” of community work. He looked for ways to address this desire, and found one when friend York Mayo, then-volunteer president of Habitat for Humanity, recruited him to look at the group’s finances. Little did he know that he would soon work his way up to president and spend seven years in that seat, helping the organization “get to the next level” organizationally, as he put it, while also building three or four houses a year. He’s been making things happen with other organizations as well, especially the Greater Springfield YMCA, which he’s served on the corporate and finance boards, as chair of the audit board, and as co-chair of the Scantic golf tournament. He also involved with Springfield School Volunteers, and is currently in his second year of mentoring students at Putnam. Mayo, summing up Perry’s contributions to Habitat and other groups, had this to say: “Bob has compassion for others. He converts his beliefs into action through hard work and relentless dedication. When he makes the decision to support an organization, he is the first to roll up his sleeves and get involved. He is persistent and never gives up. As for what he considers a lack of handyman skills, “I think it’s funny that I would get involved in a volunteer construction organization,” Perry joked, adding quickly that he believes he’s more than made up for that deficiency with organizational and leadership abilities. And no one would argue with that point. Anthony Scott was talking about his penchant for garnering media attention. He insists that he’s not a publicity hound, and that newspaper headlines and broadcast sound bites “have just happened” — everywhere he’s gone, including Holyoke. As for what he does with the press and how he does it, he summons a few quotes from an old Cajun friend, passed along when Scott was a young officer with the New Orleans Police Department. And through a 44-year career in law enforcement, that’s exactly what Scott has been doing — telling the truth. Sometimes, actually, much of the time, it comes with a little sarcasm, and more often than not it hurts those to whom he’s referring. But this certainly has never stopped the truly outspoken Scott, who will be retiring in April, from speaking his mind. Scott told BusinessWest that he considers such letter-writing, such telling it like it is, to be an important part of his job. He describes all of these various efforts as part of his work to be a voice for victims — and he says there are not enough of them. For standing up for victims and, more importantly, for making Holyoke an inhospitable place for criminals and would-be criminals, Chief Scott has made another headline, this time as one of BusinessWest’s Difference Makers for 2011. And the chief found a little irony in the fact that he was being honored by a business publication, because he has a degree in business, and, more to the point, he approaches crime like a business. Well, to be more specific, he says he wants to make it so criminals won’t want to do business in his city. “If a business is operating within a city and that city continues to raise its taxes and raise its fees, and the business overhead gets to be expensive for them, they’ll relocate,” he explained. “They’ll go to another city where the taxes are lower and the fees are low enough so they can operate and make a profit. Scott will reach mandatory retirement age (65) in a few months, and is stepping down in April. He said his plan for life after police work — and it seems well-thought-out — is to do consulting work with police departments, handle background checks on candidates for executive positions, and similar investigatory work. He said he won’t miss the judges — and took one more shot on his way out the door, saying he’ll be extra careful in retirement “because, if I get arrested for a parking ticket, I’m going to jail” — or the city councilors. He will miss the people of Holyoke, though. “They welcomed me into their community and made me feel at home,” he said, adding that he’s not quite sure what retirement will bring for him. Probably more of what he’s been doing all along: telling the truth.